The IPS logs contain details of suspicious network activity prevented by the Smoothwall’s intrusion prevention system (IPS).  Go to Reports > Logs > IPS. 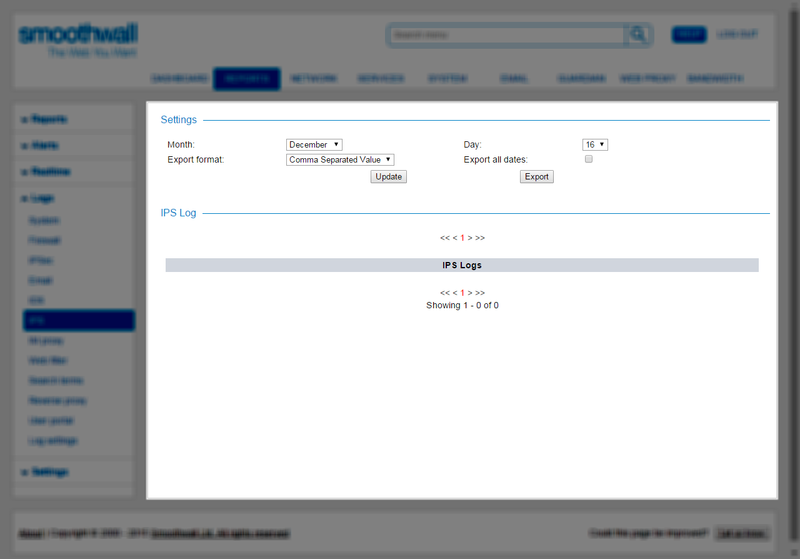 You can also choose to export IPS logs to a chosen format. 1. Go to Reports > Logs > IPS.